Our program serves families with children under the age of three that are involved in the Child Welfare Services (CWS) system. Parents whose children have been removed from their care must complete a service plan developed by CWS in order to be reunified; often that service plan includes participation in our Home Visiting Services program. We recently closed services for one young mother who, when she first came to us, had been required to separate from the father of the children. Her loyalty and trust had rested with him, and she had been unwilling to reveal much about herself to others. After she separated from him she came to recognize him as having been abusive to her and the children. She had been with him since her teens (he was considerably older) and had never developed any independence. She lacked confidence in herself and experience in the world outside of her life with her boyfriend and children. She had been able to gain employment but had never been able to hold a job for long. 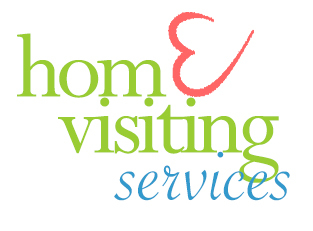 In HVS services, she worked with both our Clinical Specialist to develop her own personal growth, and with our Home Visitor to develop her ability to take charge of the children and create and maintain healthy boundaries and limits for them. At the end of services, she not only had maintained employment, but had been promoted to a management position. She had developed the ability to manage some of the behavioral problems with the children by anticipating and preventing them. She had also developed her ability to intervene effectively when problems did develop. She had completed all other services required of her (substance abuse assessment and services, domestic violence services, and individual counseling). All of this young mother’s service providers were very impressed with her commitment and success in services. Her expectations of reunification with her children are expected to be realized soon, and we are confident that the skills she gained in our program will serve her and the children well into the future. She understands that the children’s father will continue to have a role in their lives, and voiced her understanding of the importance of his involvement, despite her past experiences with him. She has ongoing support through her family and through ongoing private counseling.